Mrs. Hattie Vernita Hardin Shiver, 87, passed away on April 10, 2019 at her residence in Tifton, GA. Mrs. Shiver, known as Nita to friends and family was born on December 22, 1931 to Hattie and John Hardin in Moultrie, GA. She was preceded in death by her husband of 62 years, Billy D. Shiver of Sale City, GA.
Nita is survived by three sons and daughters-in-law, Barry and Lindsey Shiver of Watkinsville, Bruce and Kristie Shiver of Tifton, and David and Terri Shiver of Chula; six grandchildren, Leah Busbin , Brenton Shiver, Clayton Shiver, Janna Abbott, Zachary Shiver, and Cutler Shiver to whom she will always be known as “Granny”; and two great grandchildren, Campbell Shiver and Freya Abbott. Nita Shiver was raised in Colquitt County and graduated from Moultrie High School in 1949. She met Billy Shiver and they married in March 1951. The couple lived near Funston before moving to Baconton in Mitchell County in 1962. They were dedicated members of Baconton Baptist Church for more than fifty years. Nita was a homemaker when her children were young. Later, she had a career with the U. S. Postal Service in Albany and Sylvester before retiring. 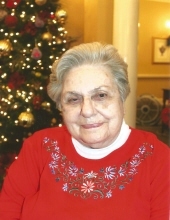 She and Billy enjoyed traveling and visited most of the states in the U. S. She equally enjoyed trips to Mexico Beach, often with grandchildren, and traveling to the north Georgia Mountains. She was known as a great cook and hosted many family get togethers. Many of her recipes will live on with her sons and daughters-in-law. She loved crafts and made quilts, knitted sweaters, and crocheted gifts for her children and grandchildren. After she moved to Cypress Pond Senior Care in Tifton she discovered a latent talent for painting. Visitation will be from 1 – 2 p.m., Saturday, before services, at Parker-Bramlett Funeral Home in Camilla. Memorials may be made to the Parkinson’s Foundation, 200 SE 1st St., Suite 800, Miami, FL 33131. "Email Address" would like to share the life celebration of Hattie Vernita Hardin Shiver. Click on the "link" to go to share a favorite memory or leave a condolence message for the family.